We hope that 2019 is off to a great start for you. To keep the momentum going from last month’s release, we have a new series of upgrades available now on Handbid! 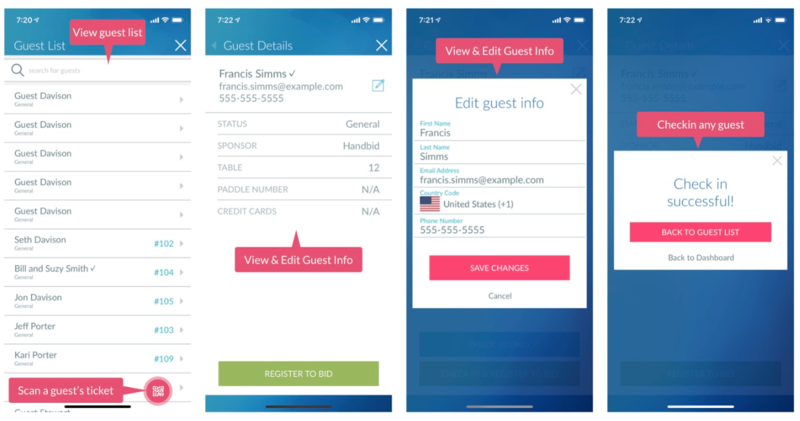 Handbid Guest List Check-in from iPhones! Handbid always came with some default statuses you could add to a ticket (General and VIP). 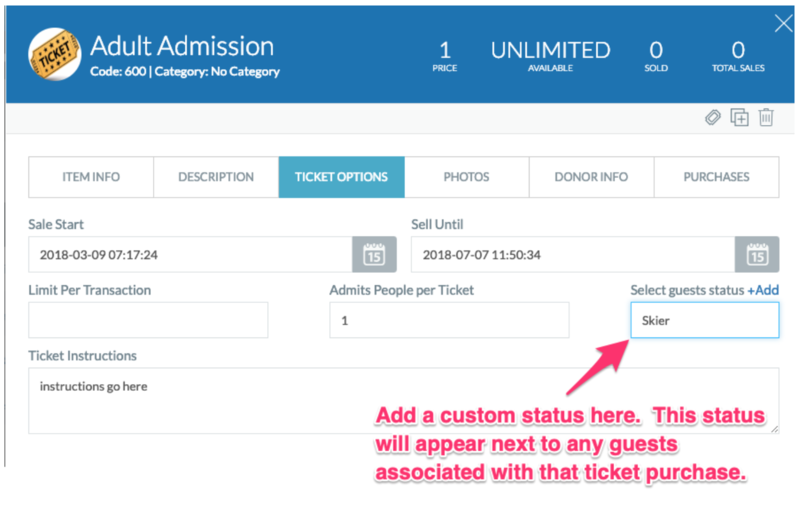 Now we let managers add their own statuses on tickets for their auction. Any status created will be available for all tickets to use in that event. With the implementation of added security measures within Handbid, we want to make sure our account owners are able to add and remove managers much more easily than in the past. 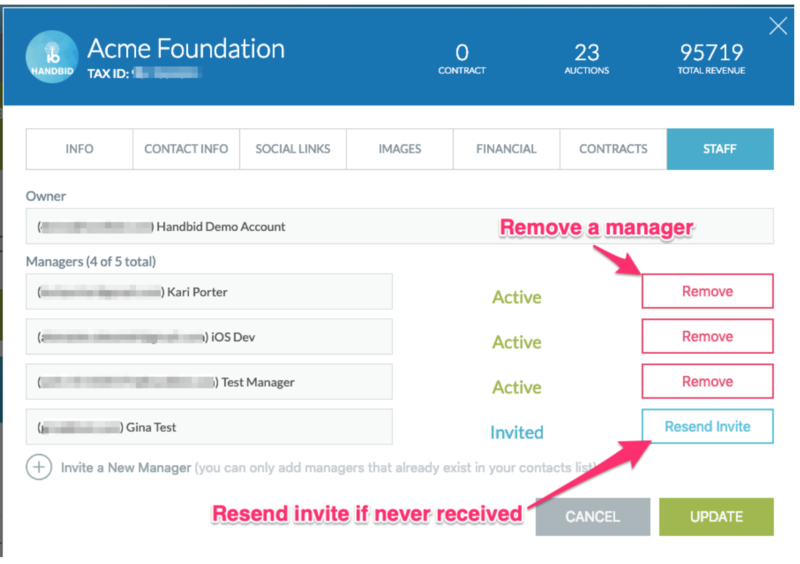 In this release, we allow owners to invite up to 5 additional managers to manage Handbid. These managers can be invited right out of the interface and once invited, the owner will be able to see that they are logged in and active. Any invites that do not go out can be re-sent directly from the manager. Some contacts could not be added as managers due to a certain condition on their Handbid user account. We fixed that and now those people can be added. A number of the columns in the item and bidder grids would not sort properly, That has been fixed! We have cached and sped up the bidder list and population of the bid, purchase, ticket and appeals modals. Those should now load much faster than they have before. The events appearing in the auction dashboard will now have a timestamp that is the same as the auction timezone. Speaking of timezones, the ticket start and end times set also now honor the auction timezone as well. We have changed the flow for how test auctions were created. A number of people figured they would create a new auction and set it to test before they opened it. However, a test auction (which is strictly for testing) has a 5 item limit. So now, creating a test auction is a different process in Handbid. Managers now create a test auction separately from creating a real auction. (Only one test auction per org). Changing an expired password was not unlocking some accounts. That should be fixed! Bid history on the bidding website (events.handbid.com) now shows the Paddle Number or Alias in a larger (and more readable) font. You can now get to page (and 3.4.5…) of the item list! Some tickets on events.handbid.com were not printing correctly. Now that is fixed! Some mobile numbers (in Australia) start with a 0 (who figured). We have now fixed that so our AUS users can get registered properly! The item sort method now properly shows items sorted by item Code on the iPhone and Android devices (we actually released that fix last week). We have implemented a new alert system in Handbid to keep all of our managers informed of maintenance, important updates (like this one) as well as any account related alerts. Look for those in the manager in the days and weeks to come. Well those were the overall highlights from our 2.21 release. We left out a lot of the smaller (less interesting) updates but hope you find these upgrades to be helpful. If you have any questions about some of these new enhancements; or, if you have any suggestions of your own, please reach out to us at service@handbid.com!